I just bought a 2007 kioti DK35. The 4x4 doesn't work A (it has the push button by your left leg) and i believe i have it nnarrowed down to the modulate vavle assy. Is what it looks like but when i talk to the dealers they say that assy only has one valve in it for the PTO. But i know mine has another block attached to it that has a silinoid on it ( like the one for the PTO) that is for the 4x4. 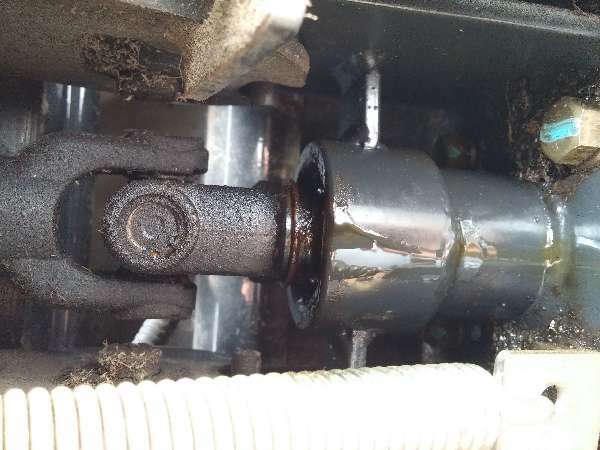 The dealer i am working with hasnt been able to help me find this particular part i was hoping someone here has had the problem and knows the solution.. If I owned a Kioti, based on what I've read here, I'd get myself a factory service manual for dealers, do what servicing I could on my own, and turn the rest over to a good local general tractor mechanic. First I agree with "auerbach". Kirkdspain, is it possible to switch the use of the two solenoids to see if they solves your problem? A solenoid is normally a very simple part, electrical coil that pulls or pushes a plunger as electricity is applied. So if a solenoid then would either be the coil has failed or a seal has failed. Would think reasonable DIY to check. If you can apply power to it with the tractor off you may have here it working. Can you check the coil to be sure it has not burnt out? Do you have a volt meter? If you do then pull one of the leads off of it and place leads between the solenoid and that lead. If the coil is good it will read voltage (should be same as system) if coil is bad it will not read voltage as the circuit is broken. You can use test light same way. If the coil test ok then try listening for the plunger's movement. You may be able to rest hand on it lightly and even feel it. Does the solenoid control hyd oil? If yes the be very careful in breaking the line to see if it is letting the fluid through. If you do be sure to place rag over the fitting to control the fluid so it can not hit you with high pressure stream.